Based in Bressolless in the Ain region, Sunkiss Matherm was formed when two companies came together: SUNKISS, the manufacturer of the Thermoreactor®, and MATHERM, which makes Alutherm and Cératherm electrical radiant heaters. 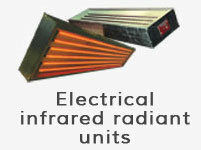 Thanks to the merger, they now offer a wider range of infrared emitters. 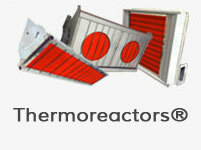 y creating the Thermoreactor® in 1953, SUNKISS MATHERM developed a radiant infrared technology specially adapted to paint drying, fusion and polymerisation. Today SUNKISS MATHERM designs and produces drying or curing units for an array of manufacturers eager to save time and space and achieve better finishing for the products, save energy and enjoy greater operating flexibility. An original manufacturer of drying furnaces and ovens, SUNKISS MATHERM allows you to operate with the certainty that your project will work from start to finish on the basis of a genuine partnership based on skill and know-how. 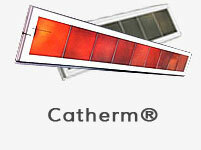 Sunkiss Matherm enjoys recognition and support for innovation from France's public investment bank (BPI). 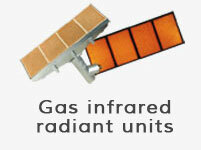 Each project may be an opportunity to make progress towards new infrared techniques. Our aim is to produce tailor-made ovens or drying tunnels that cater to the needs of our customers.